A decoration and a storage solution in one! 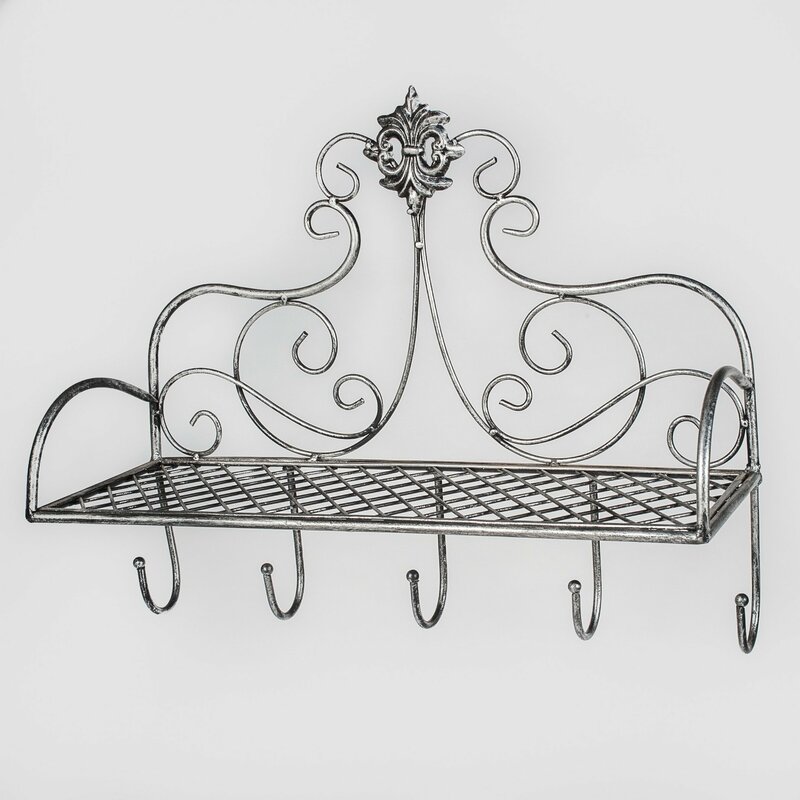 This beautiful artisan crafted metal wall shelf is for storing decorative items, accessories or kitchen gadgets, cookware or can be used as a key holder. Beneath the storage shelf, five sturdy hooks provide a place for hanging coats, kitchen towels and potholders or decorative items for display. The Wall Key Holder would make a great addition either inside the home or outside. With a little shelf for books or garden tools and five hooks underneath for keys. There is a ornate design at the top of the wall hanger and intricate spirals leading to the shelf. The Wall Key Holder is a silver colour with darker grey brushing.